Magnificent patch wok design rug with a mix of bottle green and orange colors. 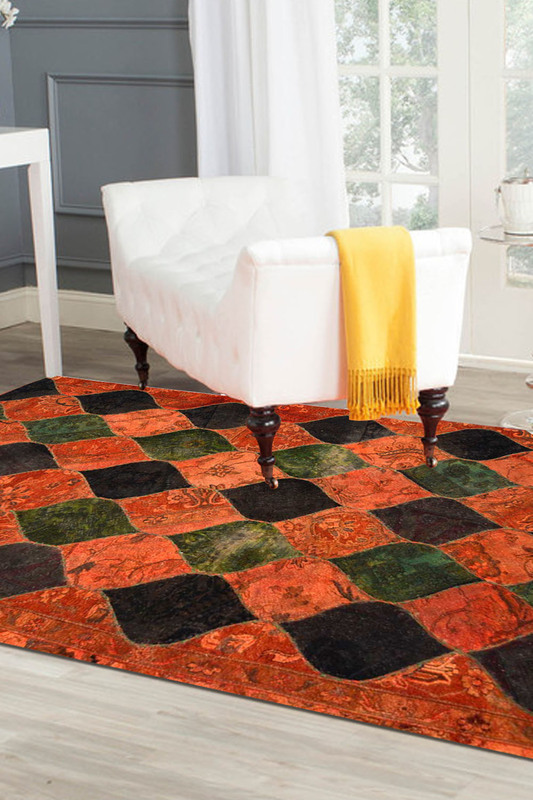 This rug shall add vibrancy and richness to any given room with its unique colors and combination. - Bright and vibrant colors adding life to any room that it would be placed in. - The rug is constructed in 100% wool and is easily washable. - It is most suitable in a room with rustic interiors. - The “Apache Patch” is triple toned in orange, bottle green, and dark green. - The design is a combination of dew drops sown together in unison.